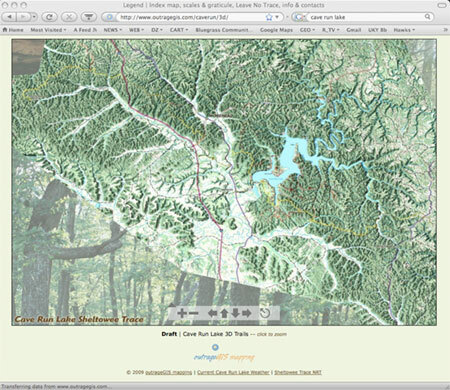 The Cave Run Lake Trail Guide has over 90 miles of legendary Kentucky singletrack trail all mapped with Trimble GPS. 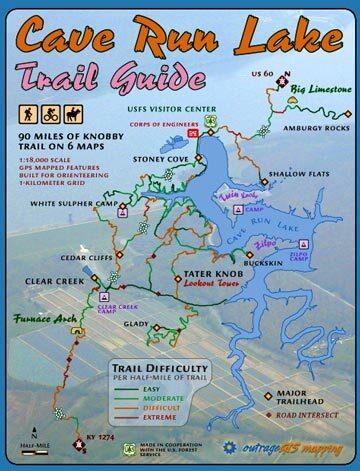 At 1:18,000 scale and with 50-ft elevation contours, full-color, and aerial photography, it is the most detailed trail guide for Cave Run. The guide has 8 maps that fit into a clear plastic bag. New for 2004 are elevation profiles for all official trails!